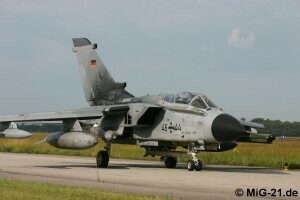 From June 14 to 28, 2007 at Heuberg military training area and in the airspace over Bavaria and Baden-Wuerttemberg the exercise ELITE 2007 (Electronic Warfare Live Training Exercise) took place. 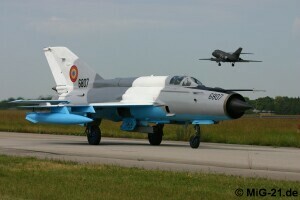 Among more than 70 airplanes and helicopters taking part in ELITE 2007 for the first time were MiG-21 from Romania which operated from Lechfeld Air Base of Jagdbombergeschwader (fighter bomber wing) 32. 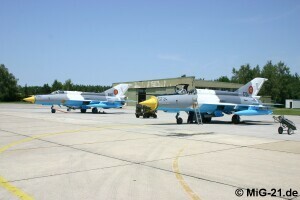 Two LanceR C of Grupul 86 from Feteşti-Borcea deployed to Lechfeld. 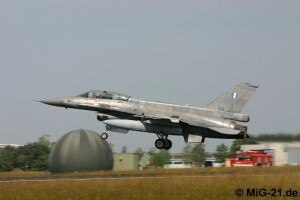 In accordance with the objectives of the exercise the Lancers carried an ECM at central pylon. 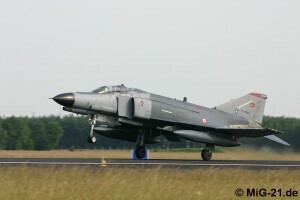 In the background a Norwegian Falcon 20 takes off. 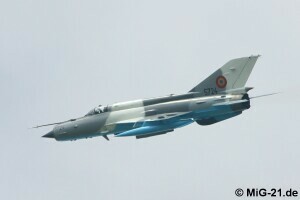 Hopefully not for the last time: MiG-21 in the sky over Germany. 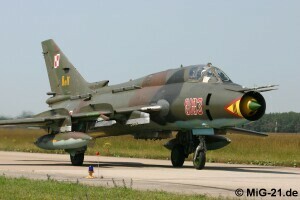 Another highlight of the exercise was the participation of two Polish Su-22 which were at Lechfeld for the second time. 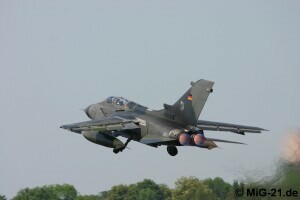 ... taking off in quick succession. 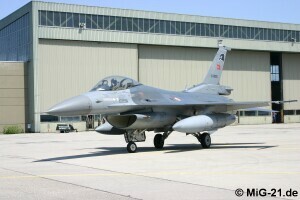 ... additional F-16 came from Greece.